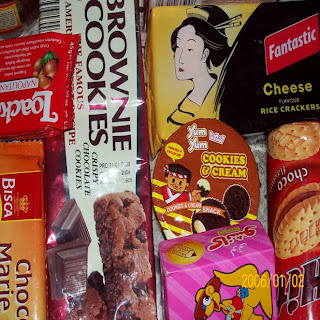 We have been witnessing major international bakery companies making beeline to Indian bakery segment in recent times with latest news of Kraft joining the rank . In one of the my earlier articles I have mentioned about failed attempts by mnc to establish themselves in bakery segment . But that was in past few factors have now turned Indian bakery segment as favorites for international biggies . Liberalised economy, gone are they days for licence raj .Present policies have been opened for foreign participation in bakeries earlier restricted for domestic players . Economic slowdown across the developed nations . With China and India having impressive growth rate for decades .These markets gives avenues for growth to these companies. Bakery industry along with booming economy has been clocking 20% annual growth . Disposable incomes with large middle class has made consumers to try out various bakery products which were out of the reach few years back. Low competition with few big local players on national scene gives big opportunities to these multinationals to enter huge market worth Rs 12,000/ crore . Availability of raw material ( flour ,sugar ) except for fat ( palm oil) which now being imported from Asean countries also makes Indian market more lucrative .